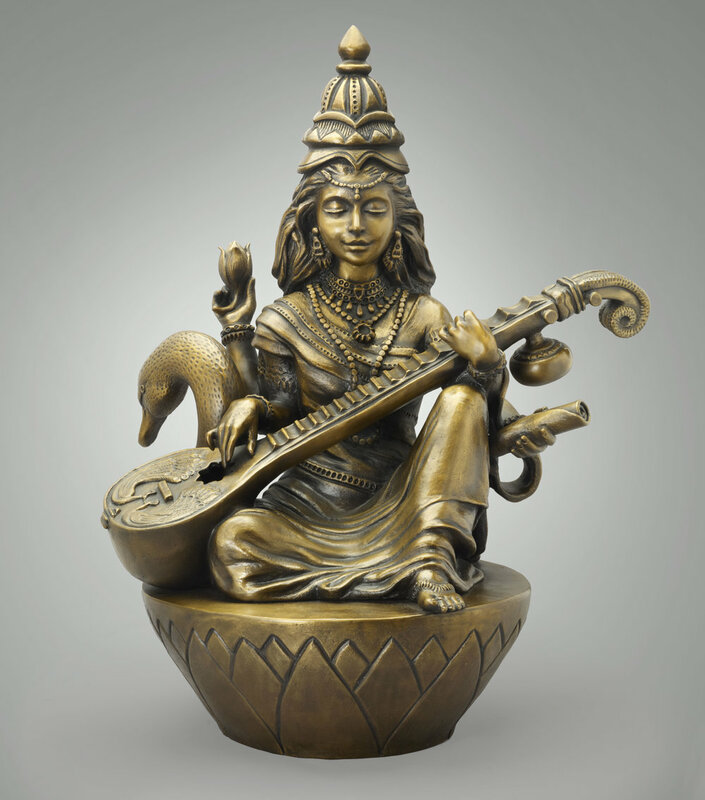 The flowing Saraswati, goddess of pure grace and thought, is an embodiment of Shakti, the sacred feminine creative force. 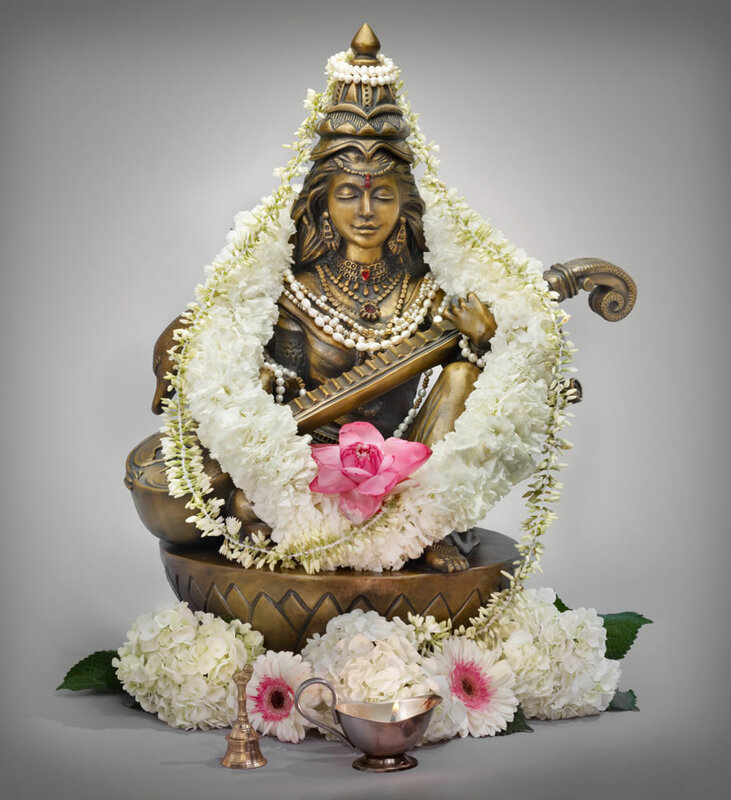 She is one of the Hindu Tri-Devi (Shakti) Goddesses, along with Sri Lakshmi and Sri Durga. Her children are the Vedas, the ancient Hindu source of universal wisdom. One hand holds the vedic scrolls of learning and prose, a crystal mala (rosary) expresses the power of poetry, chants and meditation, a lotus which represents the spiritual gifts of devotion, she plays music on her healing veena (lute) reflecting the perfection of all the arts and sciences. May Saraswati bless you with brilliant ideas, ease of communication, inspired expressions of your creativity, and the wisdom of discernment. reproduction in whole or in part, in print or in any form of electronic media.